Akron Children’s Hospital staff are known for their talent and caring nature, but when 4 of its own unknowingly signed up to volunteer at the same medical mission trip, even they were surprised. 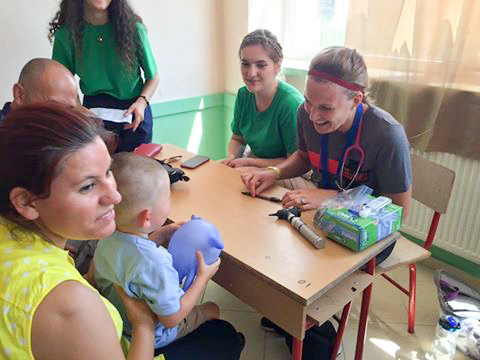 The group traveled to Durres, Albania, with Medical Missions Outreach, which partners with local churches in developing countries and offers free medical, dental and vision care to people who wouldn’t normally have access to these services. Kristin Cole with a patient family. Heidi, who’s been a medical assistant for 28 years, originally signed up for the trip thinking she’d be with the medical team. 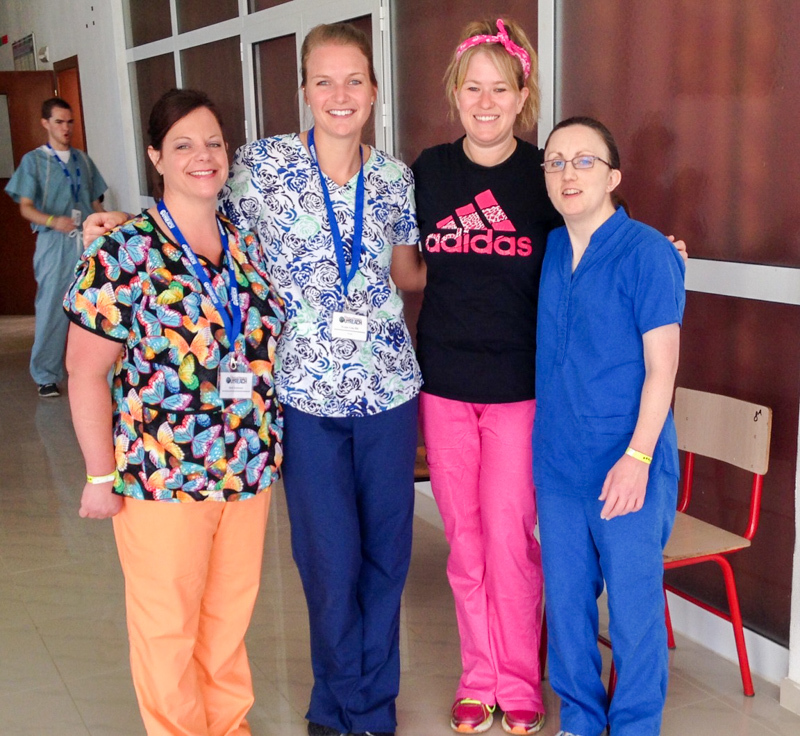 During 4 days at the clinic, the group helped treat more than 2,400 individuals with a team of 40 providers. Dr. Houser and Kristin Cole, RN, spent time in the medical clinic, while Lisa Broerman, a licensed social worker, spent time in the vision clinic. Each day people lined up and spent hours waiting to get into the clinic, even in the 100 degree heat. 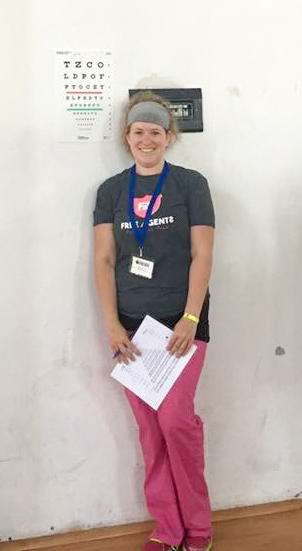 The group worked with interpreters at the clinic to help explain medical conditions and what to do after the visit. For the Albanian families who were fortunate to receive care from the group, it is life changing – from living with less pain to literally seeing the world in a whole new way with the help of corrective lenses. “Doing this type of work truly opens your eyes to what we take for granted here and it opens your heart in a way nothing else can,” Lisa said.